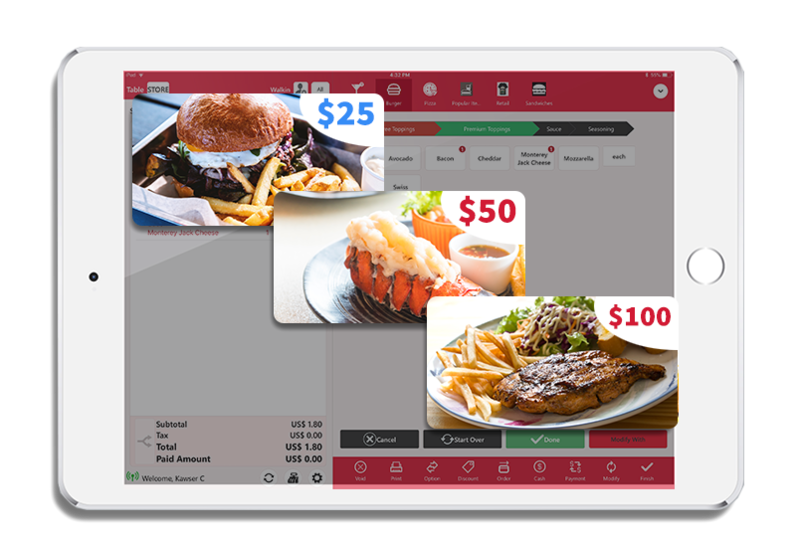 iTab POS Software is flexible and adaptable, meeting your small business needs for retailers and restaurateurs. process payments, update inventory, and run marketing campaigns through one centralized system! 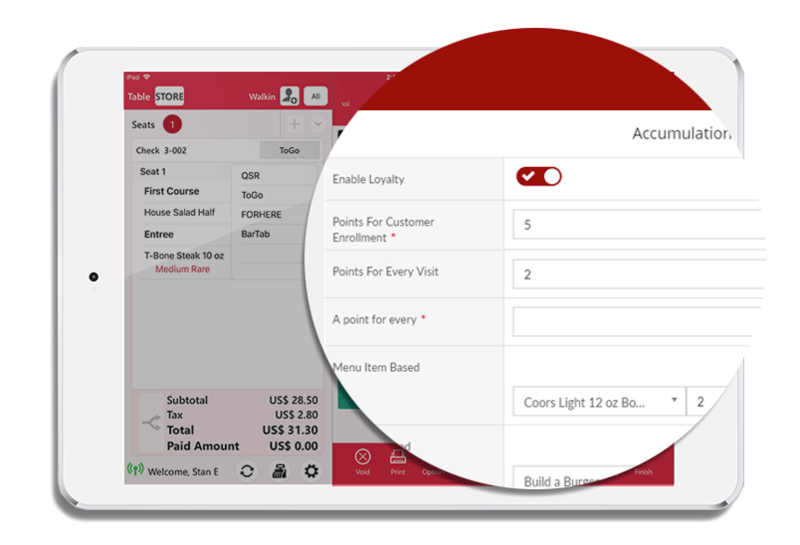 Connect with customers, new and current with our smart marketing suite, built-in to iTab POS. Setup loyalty programs, run gift cards, email campaigns, and even setup your own website or mobile app with iTab’s powerful marketing features. Read more below. Give your customers the rewards they deserve. Make loyalty programs easy for customers to opt in with a simple signup process using their email or phone number. Setup a loyalty programs on the fly and its terms of redemption with ease. When it comes to convenience, restaurants today must invest in allowing their customers to create orders online. iTab’s online ordering platform makes it easy to setup your own online store with no programming knowledge or big budget required. All orders made online will be sent directly to the right store and kitchen printer with the time of pick-up or delivery information. Generate brand awareness and increase revenue with gift cards! iTab POS allows you to create your own custom gift cards to boost sales and bring in new customers. 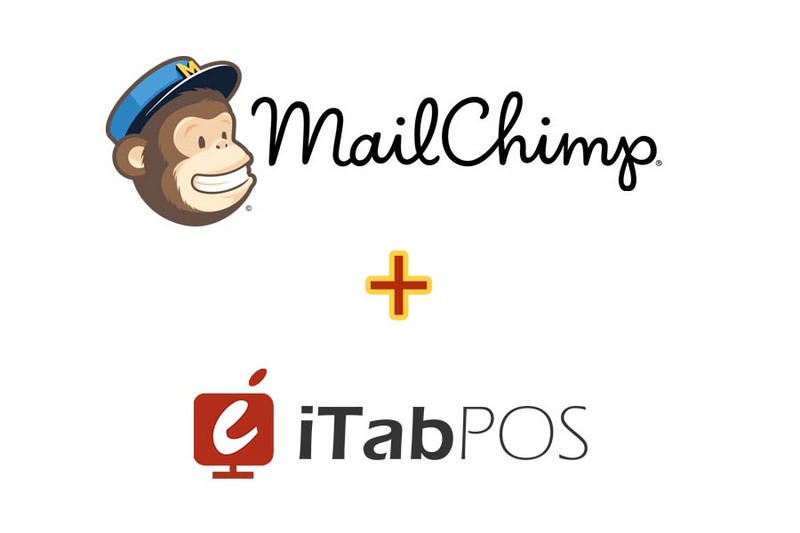 All customer information feeds to your audience lists in MailChimp. Use their order history, personal information, or custom parameters of your own to create targetted, seasonal, and trigger-based email marketing campaigns. 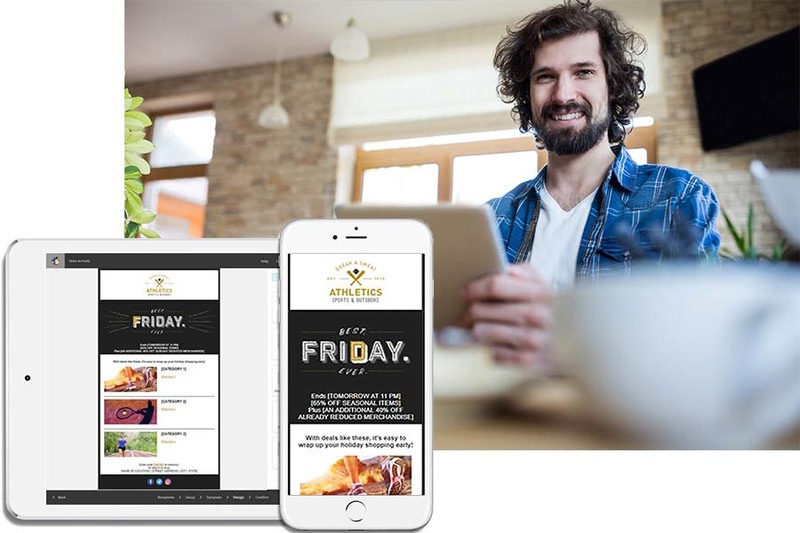 Have your very own custom-branded mobile app that allows customers to create an account, order online, and manage their loyalty points. Since customers can order directly from the mobile app, this reduces the amount of time your staff spends taking phone orders.